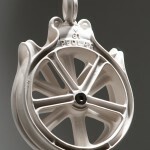 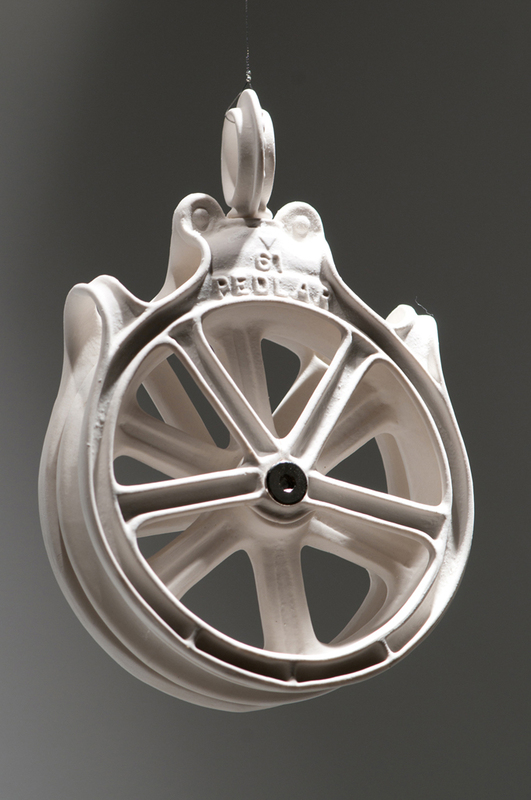 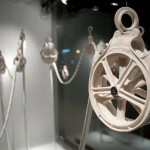 This project consists of a series of pulleys cast in porcelain that will be made entirely functional and will suggest that, even though ceramics is considered an extremely delicate and fragile material, it is also very hard and strong. 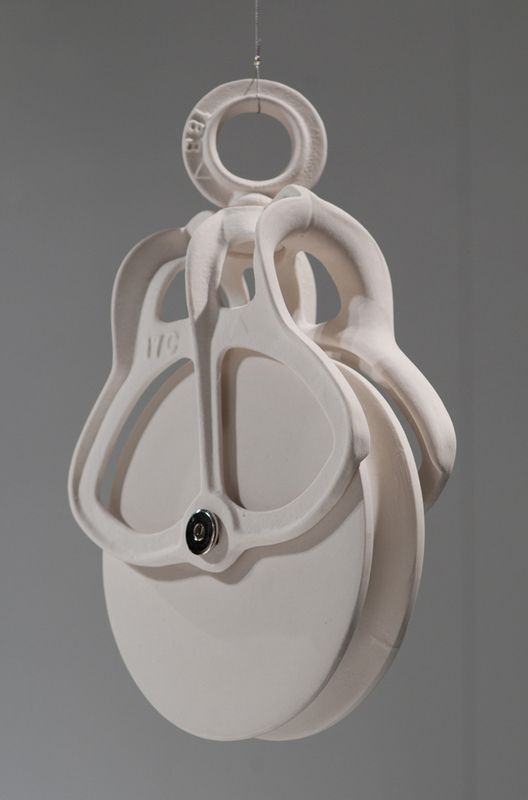 With the creation of this new series of installations I wish to suggest, as in my previous work, the tension in ceramics between its stability, its permanence and its extreme fragility. 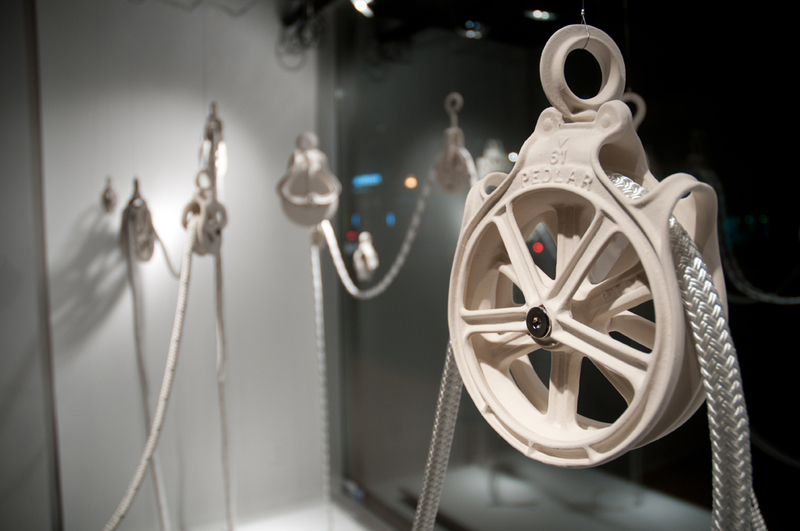 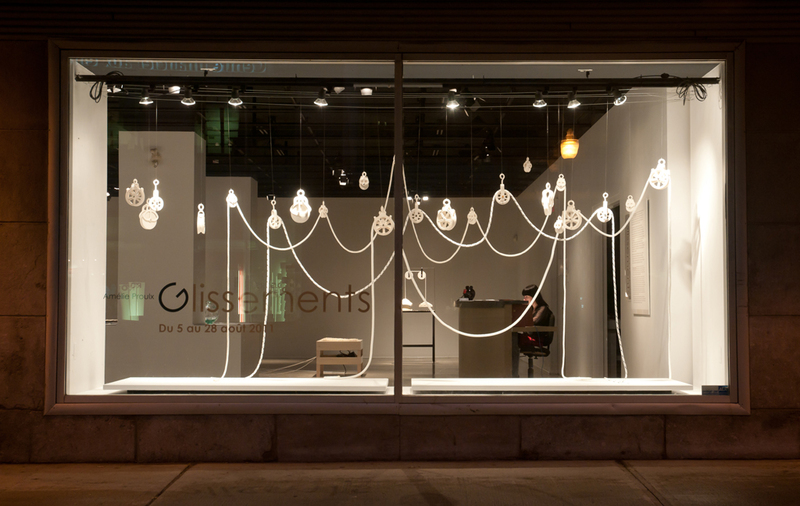 Along with these ideas, the porcelain pulleys also bring a new dimension to my kinetic installations where the mechanical aspect of the work becomes a fundamental element. 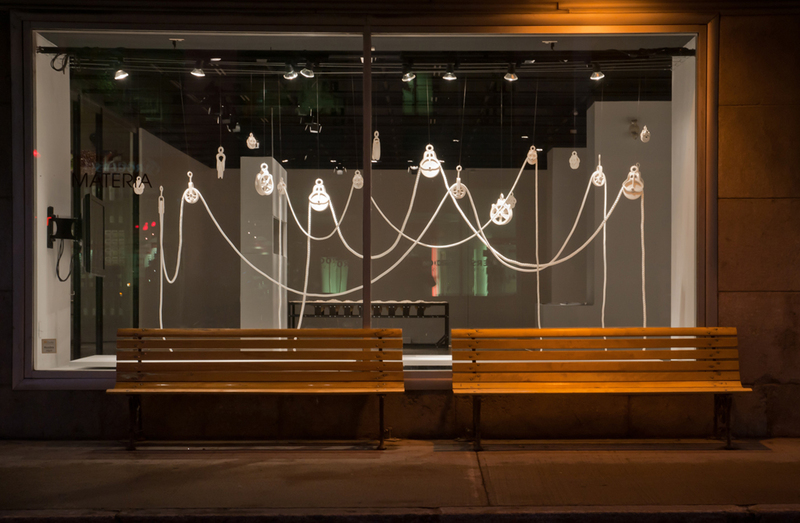 This installation suggests the possible slidings, foldings, stratification, sedimentation and erosion of the ceramic material to create a narration—linear and non linear—through time. 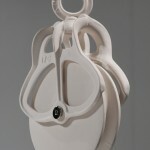 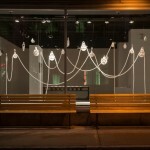 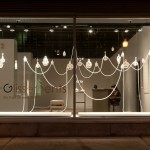 Porcelain, hardware, nylon rope, variable dimensions.